It is rude to pee in the pool, even if you are discreet, right? 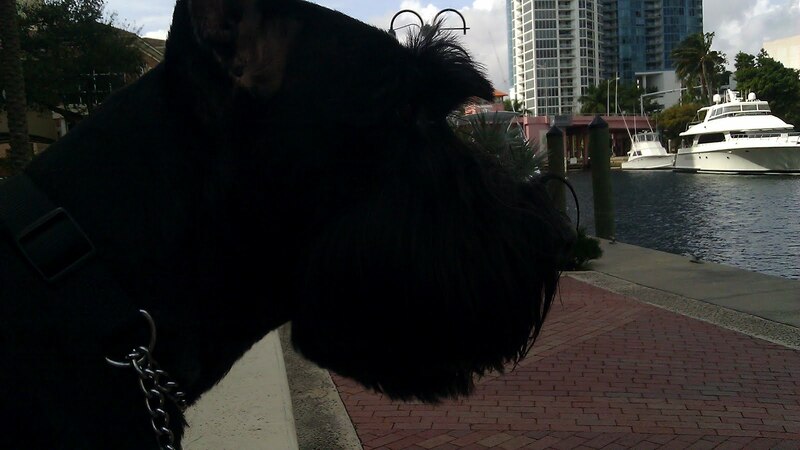 Most dogs in Fort Lauderdale know how to swim. Even if they have to do it with a life vest on to add some flotation assistance! Madison is a great swimmer, even though she doesn't have webbed feet like lots of her friends. Fort Lauderdale has 23 miles of coastline and over 300 miles of navigable waterways. That's the intracoastal, New River and all the canals. Lots of that water is full of dog-danger, too: sharks and 'gators to start with. 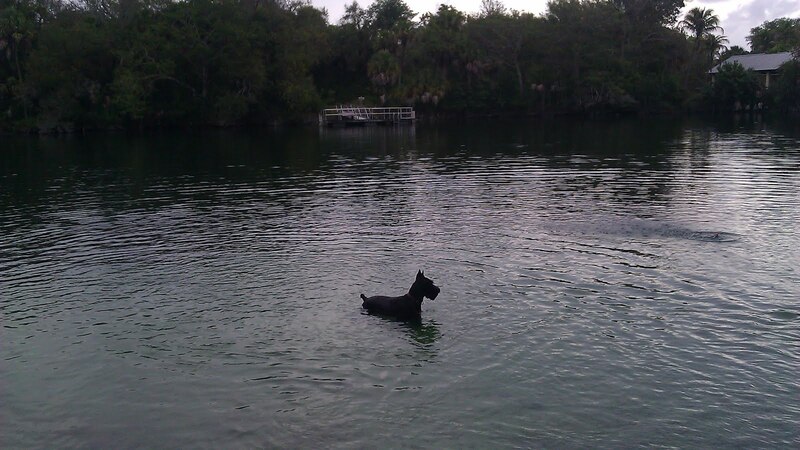 If you let your dog swim here, you have to make sure the water is safe first! 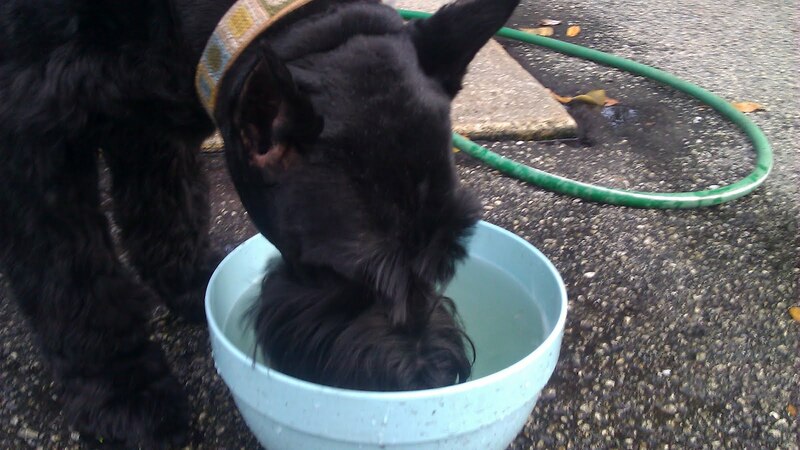 A Giant Schnauzer does not just "take a drink," she drinks the whole bowl. For the well-bearded, a towel must always accompany a bowl of water. 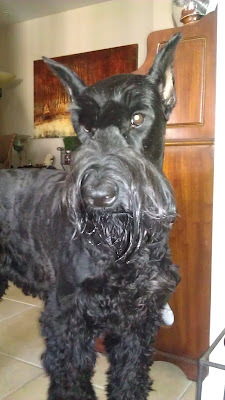 This is what goes on for a long time: A least a cup drips off her beard. Then she heads to bed. Sunday night Man-Dad thought it was going to rain, so they stayed in for the Super Bowl. Looks like it's a dry weekend, though, which is good because a Super Bowl party in Florida means everyone outside, around the grill.